INDIANAPOLIS (Sunday, May 28, 2017) – Many wondered if an experienced Formula One driver competing for Andretti Autosport could win the 101st Indianapolis 500 presented by PennGrade Motor Oil. It happened, just not by the one some expected. Sato passed Castroneves for the lead on Lap 195 – the last of 35 lead changes in the 200-lap race on the historic 2.5-mile Indianapolis Motor Speedway oval and the seventh straight year that the decisive pass for the Indy 500 lead occurred in the last six laps. Sato held off aggressive charges from Castroneves, the driver of the No. 3 Shell Fuel Rewards Team Penske Chevrolet, in the sixth-closest finish in Indy 500 history. After spending seven years in Formula One, Sato came to the Verizon IndyCar Series in 2010. His only previous Indy car victory was in 2013 with AJ Foyt Racing on the streets of Long Beach, California. 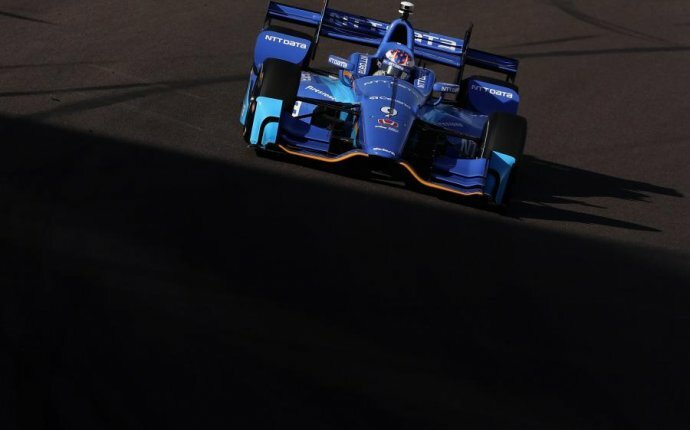 Sato joined Andretti Autosport this season, and his first oval win today is the fifth for Andretti Autosport in the Indianapolis 500 – including three in the last four years. “It’s such a privilege to win here, ” said Sato, who crashed while battling eventual winner Dario Franchitti for the lead on the final lap of the 2012 Indy 500. “So whether it was the first attempt or eighth attempt or you had a drama in the past, it doesn’t really matter. Winning today, it’s just superb. Sato is the 71st driver to win an Indianapolis 500 in its 101 runnings. The best previous finish by a Japanese driver was fifth by Tora Takagi in 2003. Castroneves overcame a black-flag penalty for jumping a restart and dodged mayhem in two race incidents to finish second at Indy for the third time – making him one of seven drivers with three Indianapolis 500 runner-up finishes. It is the 41st second-place finish of the Brazilian’s 20-year Indy car career, which ranks second all time. “The Shell Fuel Rewards Chevy team almost got it done today, ” said Castroneves, attempting for the eighth straight year to join A.J. Foyt, Al Unser and Rick Mears as four-time Indy 500 winners. “It was so close. Dale Coyne Racing rookie Ed Jones finished a career-best third. Like Castroneves, Jones had to climb from the rear of the field after having the rear wing assembly on his No. 19 Boy Scouts of America Honda replaced during a pit stop. Fernando Alonso was the most heralded rookie coming into the race. The two-time Formula One champion, who bypassed today’s F1 Monaco Grand Prix to fulfill a dream to drive in the Indy 500, started fifth, ran up front most of the day and led 27 laps in the No. 29 McLaren-Honda-Andretti Honda. Alonso’s race came to a premature conclusion 24th place with a mechanical issue after 179 laps. “Obviously disappointed not to finish the race because every race you compete, you want to be at the checkered flag, ” Alonso said. “Today, (it) was not possible. Anyway, (it) was a great experience, the last two weeks. I came here basically to prove myself, to challenge myself. I know that I can be as quick as anyone in an F1 car. I didn’t know if I can be as quick as anyone in an Indy car. Despite going a lap down early with handling issues, Chip Ganassi Racing’s Max Chilton led the most laps (50) before finishing fourth. It was the best showing of the 26-year-old Brit’s two-year Verizon IndyCar Series career.